[28/02/2019] - IMECAL, project coordinator of the PERCAL project and the leader of WP1 has reported that the factors that affect the variability of the OFMSW and their influence on its physicochemical composition were studied and evaluated. Several OFMSW samples from the EU were fully characterized showing that despite the heterogeneity and variation in composition, the chemical components of biowaste are usually within a relatively short range of values. 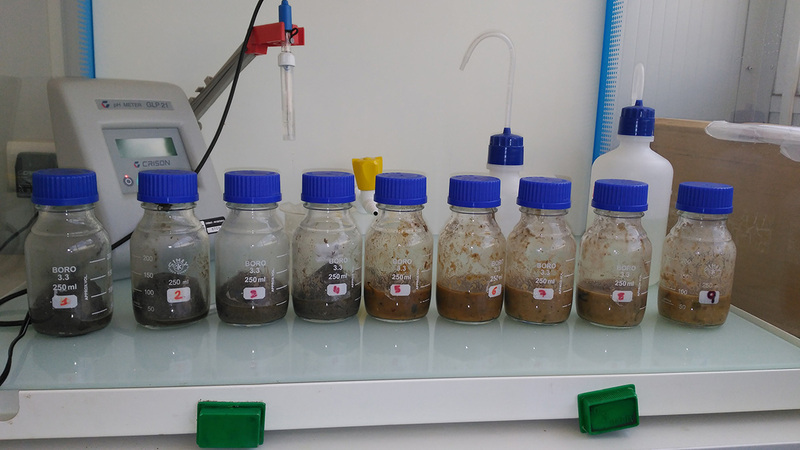 Pretreatment and enzymatic hydrolysis of biowaste were optimized for the production of the chemical intermediates developed in the project. A production of more than 85% of potential fermentable sugars present in the substrate was achieved by the hydrolysis process. Fermentation tests with different strains indicate that bioethanol yeasts, lactic acid and succinic acid bacteria are not inhibited and can effectively use the sugars from OFMSW hydrolysates to produce target bioproducts at high yields. The PERCAL consortium met in the picturesque town of Potsdam, Germany, to discuss the advancements in the project development as well as determine the future steps of the process. The consortium studied the variability of Organic Fraction of Municipal Solid Waste (OFMSW) due to waste collection system, geographical location and the seasonality. The 10 selected samples of municipal solid waste showed that parameters such as the time and place where they were collected do not have very significant influence on the chemical composition of the material. Among the 10 most interesting samples, 3 representative OFMSW samples have been selected to carry out further characteristic analysis, which will serve as a basis for selecting the feedstocks in the project. Additionally, the consortium has started three different types of pre-treatment with the aim of optimising the hydrolysis pre-treatment step. Great progresses of the intermediate products have been achieved. 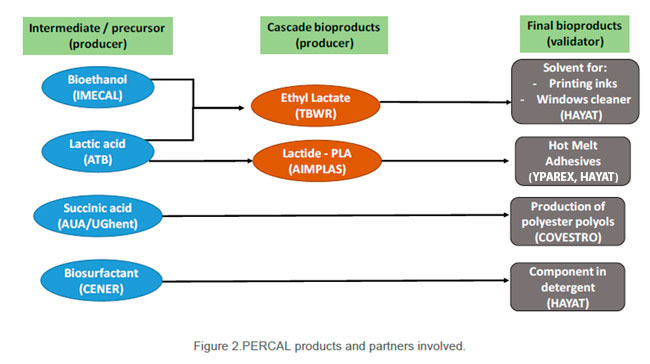 Lactic acid, an intermediate product in the project, can now be produced from organic municipal solid waste streams feedstocks in at laboratory scale. Also suitable raw material will be applied for lactic acid production via simultaneous saccharification and fermentation approaches using newly isolated strains. The centrifuged samples achieved high lactic acid purity. Moreover, preliminary screening in the microplates for lactic acid fermentation of new strains has been successfully carried out. YPAREX has joined the consortium bringing expertise in extrudable adhesive resins in multilayer applications. Yparex® is a product family of The Compound Company. The Yparex® portfolio consists of a full range of high-quality, high-tech tie-layer resins, coupling agents, and compatibilisers, that meet the demanding needs of customers in a broad range of application areas. Progresses of final products have been made. The characterisation analysis done for the valorisation of fermentation by-products provides a wide overview about their main parts. They have been focused on the protein and lipid fractions since both are the main precursors for biosurfactants production. Lab tests to produce and purify lactide from lactic acid have been carried out as well as tests on productions of PLA and PLA-copolymers by reactive extrusion. In the course of the work for the conversion (hydrogenation) of succinic acid to 1,4-Butanediol, the consortium focused so far on the improvement of the batch reaction systems. We are 13 partners that have come together to bring the best of our expertise to achieve our goal of “Exploiting Municipal Solid Waste as feedstock to develop intermediate chemicals at high yield and low impurity”. We are developing Succinic Acid, Lactic Acid, and bioethanol. These intermediate chemicals serve for the production of highly valued products such as biosolvents, cleaning products, holt melt adhesives, polyols, biosurfactants and many more. We progress every day and meet every six months to measure our results and strategically plan our next steps. 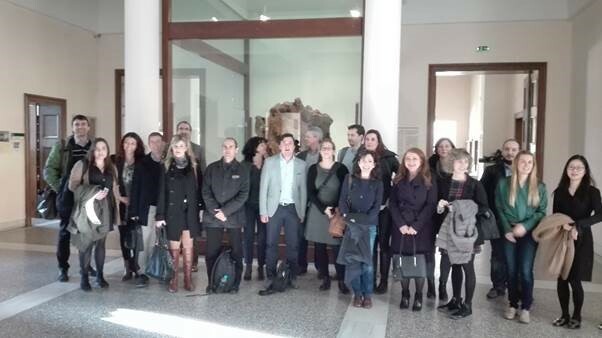 For the 6th month PERCAL General Assembly we met in Athens at the Agricultural University of Athens on the 17th and 18th of January. AUA leads succinic acid purification tasks and the environmental, regulatory and economic analyses’ activities. AUA also participates in the Microbial Conversions of MSW of succinic acid. YPAREX is joining the consortium bringing expertise in extrudable adhesive resins in multilayer applications. Yparex® is a product family of The Compound Company. The Yparex® portfolio consists of a full range of high-quality, high-tech tie-layer resins, coupling agents, and compatibilisers, that meet the demanding needs of customers in a broad range of application areas. Within the tasks in the WP1 related to characterisation, handling and pre-processing of Municipal Solid Waste, the requirements for the selected products were discussed. We will produce bioethanol, Lactic Acid, Succinic Acid and Surfactants for the window cleaners, printing inks, PLA, polyols, and polyolefins. The consortium is looking at the best waste methods in order to analyse the optimisation of the processes. As of now, partners have sent waste samples from various countries as the project requires the testing of real MSW which comes mainly from food, kitchen as well as garden and park waste. Trials have been carried out showing good performance of the process. After 10 hours of fermentation, the maximum values expected were achieved. Other alternatives are being tested and considered. The current work is determining factors that affect succinic acid extraction. Initial tests on sugar concentration were carried out for all strains. The first PERCAL video together with promotional material were produced at the beginning of the project (watch our video here). Initial activities to analyse the potential of our processes have begun. ...and our next meeting is coming on 3rd and 4th July. We will be visiting Potsdam in Germany where our partner ATB will host our General Assembly. The Leibniz Institute for Agricultural Engineering and Bioeconomy (ATB) as a nationally and internationally acting institute is researching the interface of biological and technical systems. In PERCAL, ATB is leading the microbial conversions of MSW to lactic acid.